I am a medical intuitive so most of this information comes directly from my guides. I am a medical intuitive so most of this information comes directly from my guides. Some is also from my personal healing experience. I never want anyone to substitute my judgment or intuition for their own. Open your heart and consider all possibilities. If any of this resonates and helps, then I am happy to have shared. This is written about Lyme Disease but it can apply to all illness and even serious injury. Receiving a diagnosis can be both frightening and a relief. Many people with Lyme have waited a long time, even years, for confirmation. The diagnosis is also scary because the myth is that treatment is long, difficult and that Lyme is impossible to get rid of. That was not my experience. It was eradicated, not just put into remission, from my body without antibiotics and I am far from the only one. The traditional medical model teaches us that we need to become a patient and “fight” our illness but that isn’t what I’ve learned or what Jungian psychology teaches. The more we identify as a patient, the more we lose ourselves. The harder we try to fight symptoms, the stronger their energy becomes and the more they take over. I tried not to even use the word Lyme. I didn’t put it on pictures of myself or said that I “had” it. I never said “my Lyme or my disease, etc”. I never wanted to take ownership. Even saying you are a disease warrior identifies you as a patient and takes away your identity. You are you, with thoughts, feelings, desires and a life. An illness doesn’t define you. The symptoms aren’t there to kill you or hurt you, though you may think that you find death a desirable alternative to facing the difficulties and fears that were present before you got sick and are likely worse now. Symptoms are signals from our intuition that we are not listening and that we are not following our path, that things need to change. 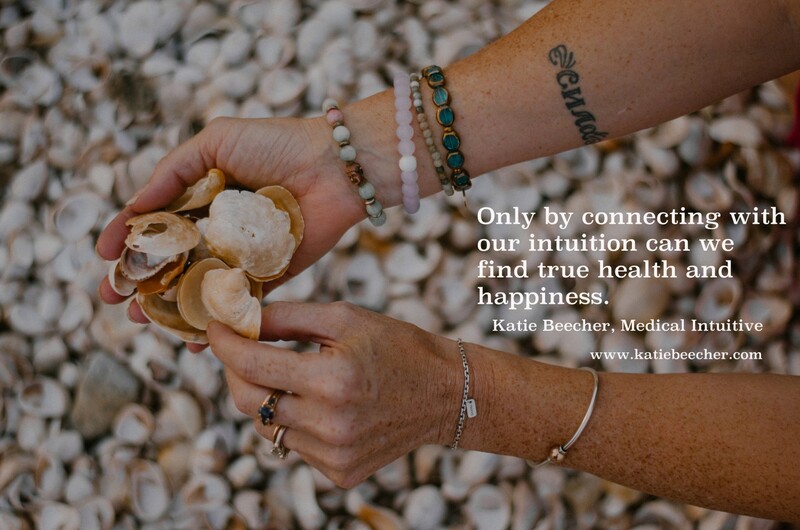 When we don’t listen to our intuition or we have trauma of some sort that isn’t properly processed, our feelings are pushed down into our body and are transformed into pain, inflammation, addiction, infection, cell growth that doesn’t belong, weakened immune systems, fatigue and more. Being sick temporarily allows us to be distracted from our fears and our intuition that is yelling at us. We can focus on symptoms and going to doctors but that won’t solve the original problems and won’t make us happy. I meet so many people who tell me that they are afraid to stand up to parents, spouses, bosses. They are afraid to take chances and leave jobs or move or start businesses and more. We are a nation of fearful people. When I ask my clients what happened as a result of getting sick, I often hear that they left jobs, got divorced, started putting themselves first, faced fears and other things because “they were too sick to do anything else”. Some people initially complain and think that these things are horrible but when I re-frame it and help them see the positive aspects of their experiences, they understand that getting sick was one of the best things that could have happened. It is the start of a new, fulfilling life where they can finally be their true selves. If they had listened to their intuition before getting sick and taken care of themselves, perhaps the symptoms wouldn’t have needed to hit them over the head. This is another one of the principles of Jungian psychology and something that helped me recover from bulimia at the age of 16 and also from Lyme, a cancerous tumor and other things. Of course it is important to attend to the physical parts of healing but just as important are the emotional and spiritual root causes of the problem. I believe that if these are not addressed, permanent health and happiness will never be achieved.